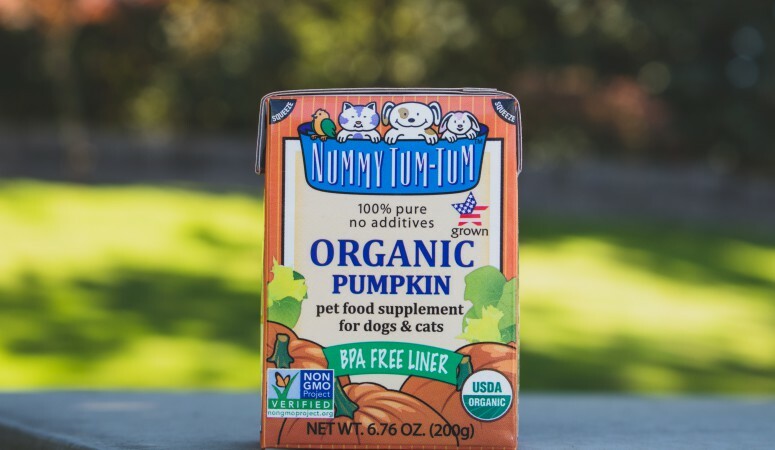 Our Pure Pumpkin now comes in a smaller package for tiny tummies! It’s made from the the same great organic pumpkin. We use the safest and best processing techniques to produce our super smooth puree. 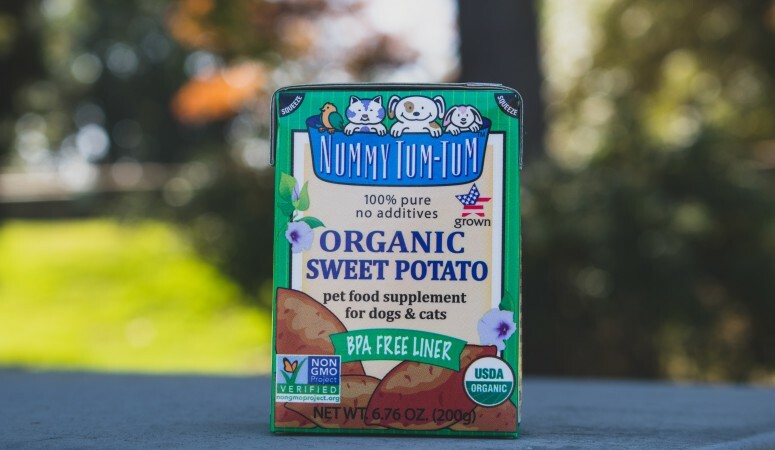 Pure Sweet Potato now comes in a smaller package for tiny tummies. 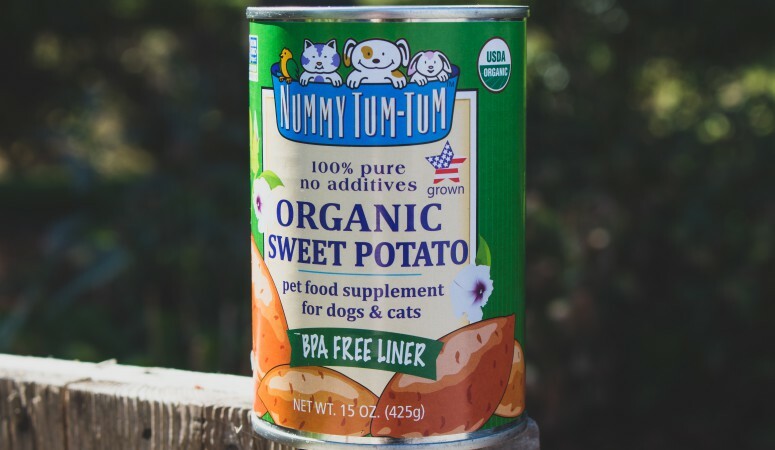 It’s made from the same yummy organic sweet potatoes that are grown in the USA. 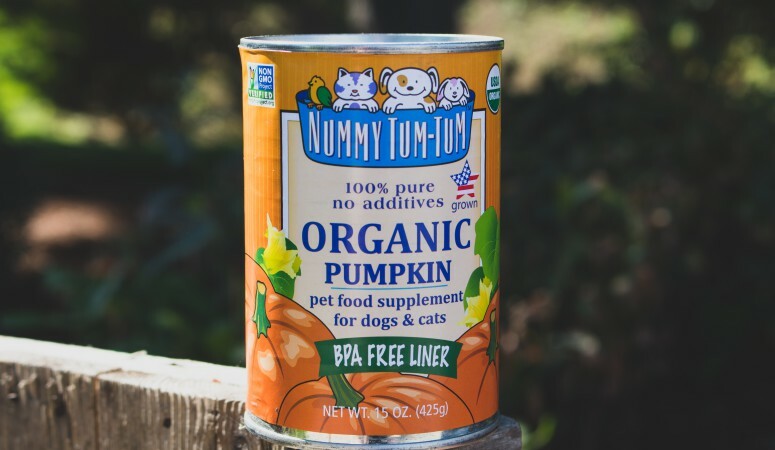 We use the same exacting safety standards and processing techniques that we use for our pumpkin puree to produce a naturally sweet, wholly nutritious Pure Sweet Potato puree for your pet’s dining and snacking pleasure. 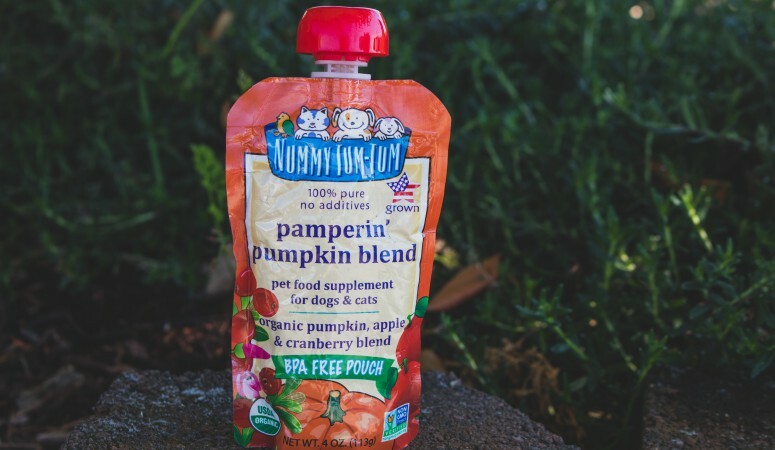 Pamperin’ Pumpkin Blend is a powerhouse blend of pumpkin, apples and cranberries. Our delicious organic pumpkins are grown in the USA and add fiber and richness to diets. Our perfectly ripe organic apples were thoughtfully selected for this blend because pets love them and they contain fiber, vitamin C, vitamin K and calcium. Organic cranberries round out this delectable blend with a boost of fiber and vitamin C. The innovative 4-oz. resealable packaging makes it an ideal treat on the go. Use Pamperin’ Pumpkin Blend as a food topper or as a treat on its own. 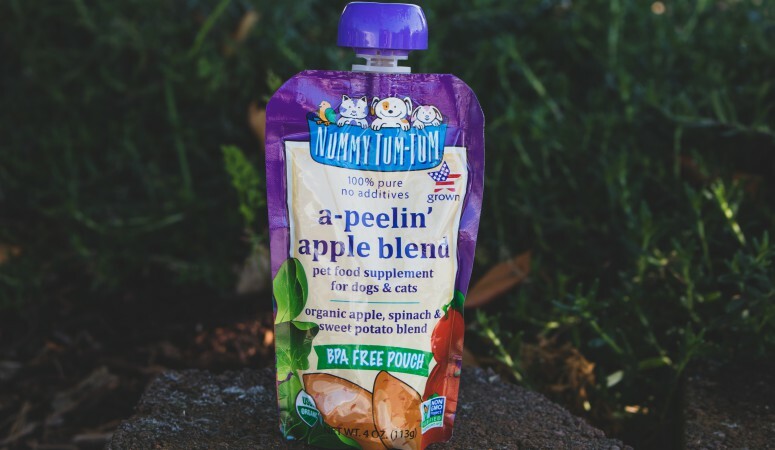 A-peelin’ Apple Blend combines the scrumptious flavors of apple, spinach and sweet potato puree. Our organic apples are perfectly vine-ripened and grown in the USA. They add fiber, vitamin C, vitamin K and calcium. Organic spinach is grown in the fields until they are an emerald shade of green. This puree contains iron, fiber, calcium, potassium and vitamins A and K. And our organic sweet potatoes are grown in the USA and left to ripen in the soil until they are perfect. Sweet potato puree adds a yummy dose of fiber, vitamins and antioxidants. Use A-peelin’ Apple as a food topper or as a treat on its own. 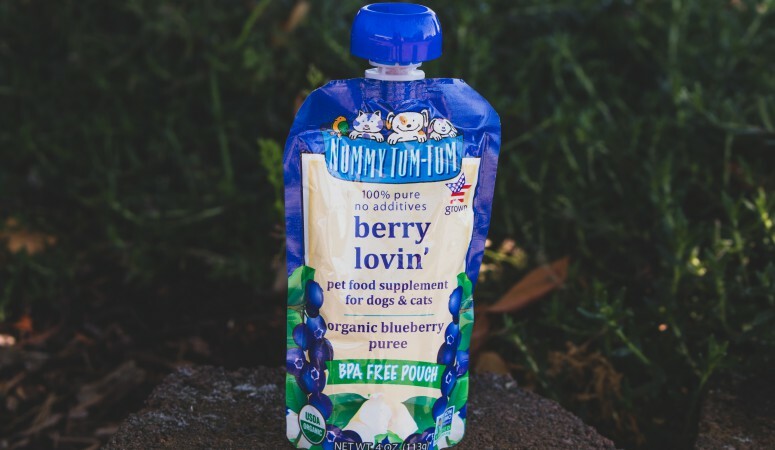 Our Berry Lovin’ puree is made from the ripest, most delicious organic blueberries that are grown right here in the USA. Blueberries have antioxidants, vitamin C and are low in calories. Berry Lovin’ is a great addition to any pet’s diet. The innovative 4-oz. resealable packaging makes it an ideal treat on the go. Use Berry Lovin’ as a food topper or as a treat on its own.